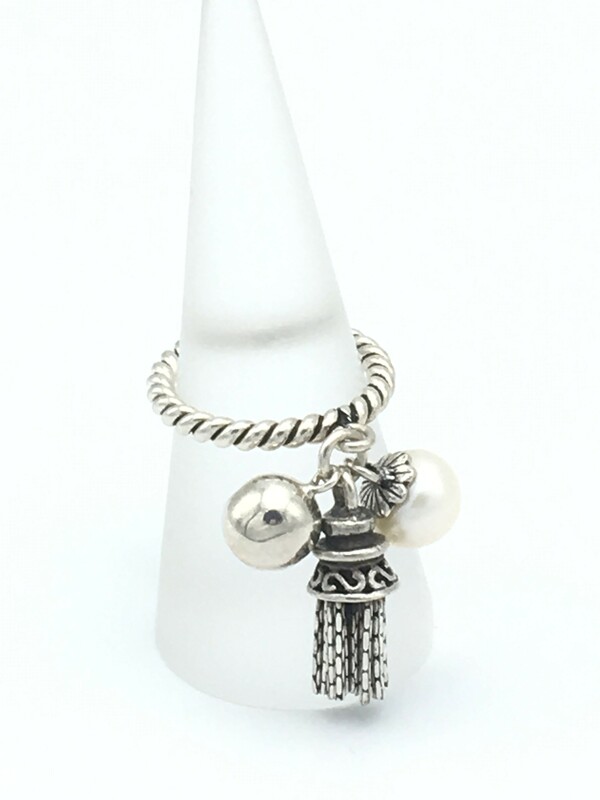 Pearl Tassel Ring, made of sterling silver and one natural white freshwater pearl. 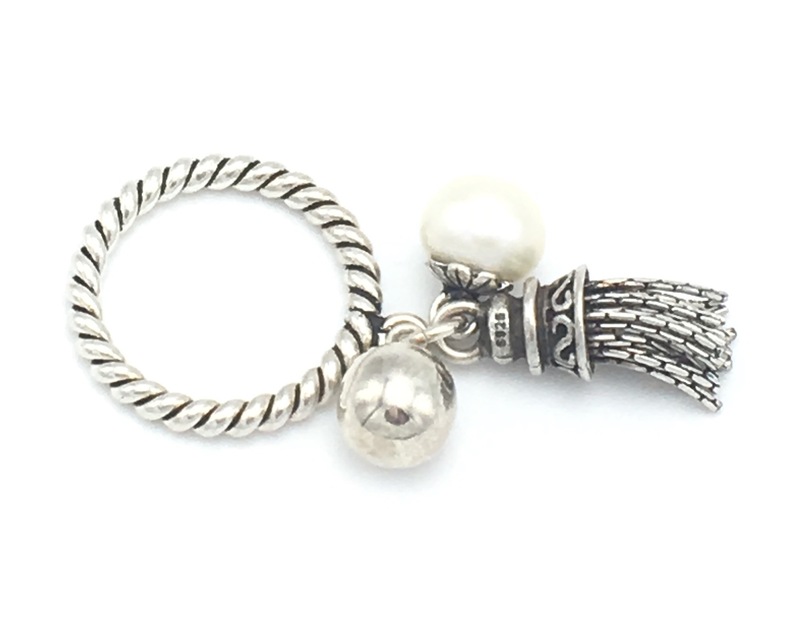 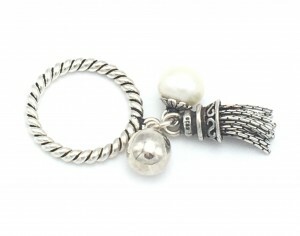 This ring has a lot of character – a simple sterling silver twist band with 3 charms dangling from it – one tassel, one sterling ball and one pearl. 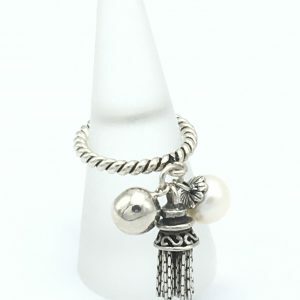 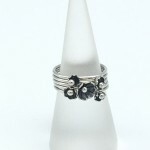 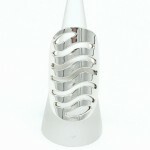 Be the first to review “Pearl Tassel Ring” Click here to cancel reply.